It is a Commercial Business District located in Saket, South of Delhi. 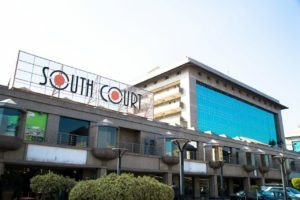 The district centre of this prominent location in South Delhi has become the largest commercial and retail destination with successful malls, restaurants and Corporate office buildings and ample parking space. The Saket District Centre is spread over 54 acres. It is planned that the district centre consists of retail space boasting of top Indian and international brands, multiplexes and Hotels. The most prominent malls in Saket District Center are Select Citywalk, Metropolitan Mall and DLF Place. 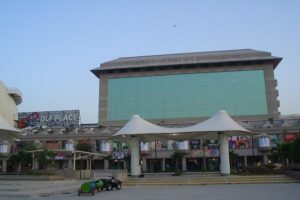 The Metropolitan Mall is in Saket District Centre and has been developed by the MGF Group. 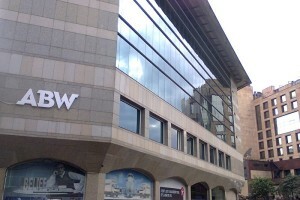 Select Citywalk is Delhi’s most successful shopping mall and is located in Saket District Centre. It was developed by the Select Group. It includes retail, a multiplex, offices and public spaces. 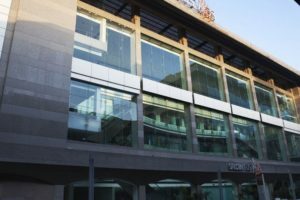 The DLF Place is a fully operational shopping mall in Saket District Centre and it has been developed by DLF Group having six-screen DT cinemas multiplex & large food court. Rectangle One is the Corporate Office Building developed by ABW Group having Corporate Offices occupied by Indian and Multinational Organizations. 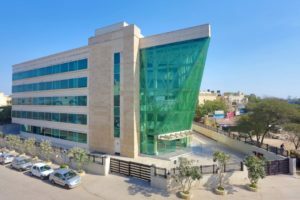 Salcon Rasvilas is one of the finest Corporate Office development constructed by Salcon Group and has many prominent offices of Multinational Companies. Southern Park building has been developed by TDI & Uppal Group and has many large Corporate offices. DLF Courtyard is a commercial high rise building in Saket District Center and has been developed by DLF Group. DLF South Court is also a fine Corporate Office building developed by the DLF Group and has ample parking space apart from Grade A offices.